Are you an admin of a fanclub? Or are you planning to open a fanbase for your favourite celebrity or idol? We have special promotions for you! 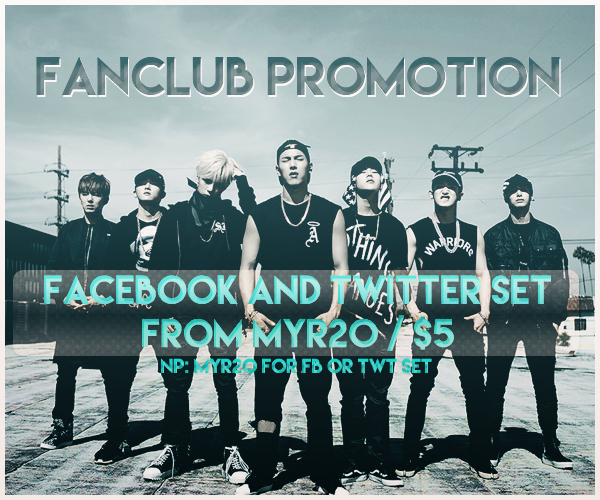 Order our package at a cheaper price for your fanbase, and we will also help promote your fansite via our SNS accounts. Among the fanbases that has ordered from us are DGNA Malaysia, LU:KUS Malaysia, Big Flo Malaysia, History Malaysia, Target Malaysia, INX Malaysia, Hallyu Malaysia and many others. You can click the names to check out the Twitter set that they ordered. Click on the banner above for more promotions! and Do follow us on Twitter for special promotional code too!